Herbs is loaded with impressive health benefits, some of these benefits includes boosting psychological health, reducing the risk of cancer, regulating bowel movement, fighting inflammation, rich in antioxidants essential to treat various health problems, supports cardiovascular health, fights against bacterial and fungals, helps with treating cough and cold, alleviating pains, supporting a flawless skin, supporting healthy bones, promoting long hair and helps fight infections. Did you know that herbs are not just used to create aromatic and extremely delicious cuisines worldwide, but they pack enough nutrients to help enhance your overall health? 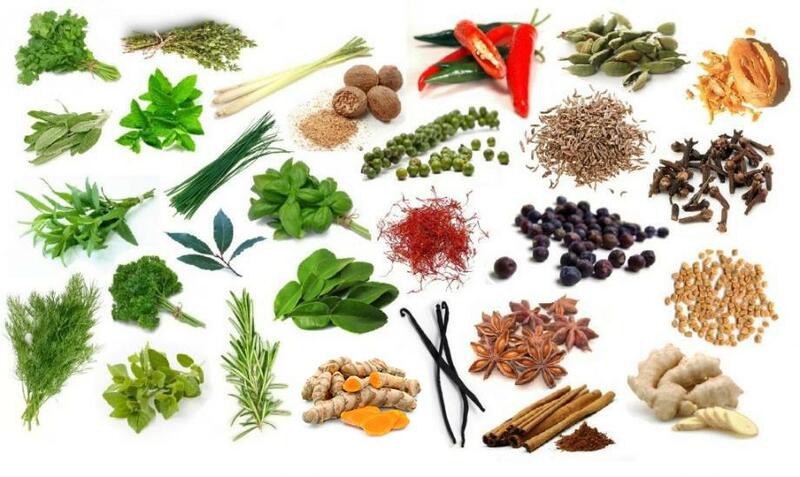 Herbs are also considered an essential component in ancient medicine as well. 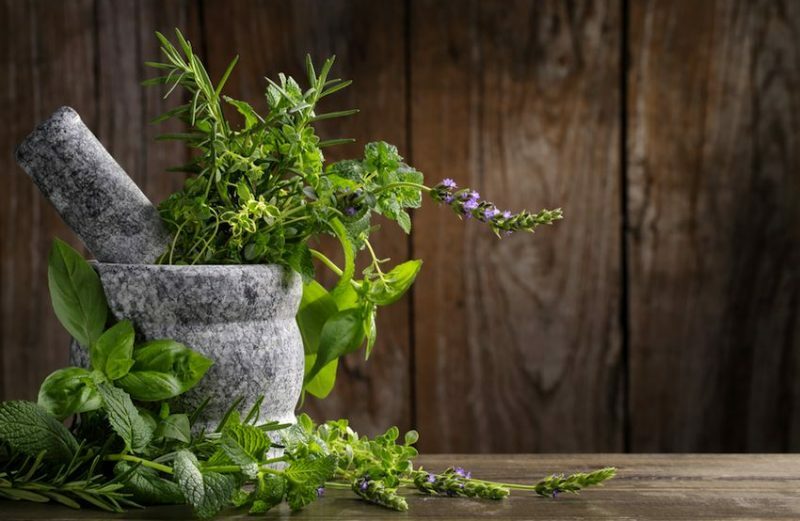 Although there is a huge variety of plant medication available, but parsley, sage, bay leaves, peppermint, oregano, and rosemary are common and most useful herbs. Herbs are plants that contain healing properties and can treat a number of health problems. They do have exotic flavors and unique aroma – which is what enhance the taste and smell of your food. Although these herbs are easy to buy byou can plant herbs at home as well. Consuming dried or fresh, herbs are beneficial either way. They are packed with antiseptic, antibacterial and antioxidants, which are important for developing children as well as for adults. Many studies have been proved that consuming herbs improve cognitive function. If you wish to improve your psychological health, incorporate rosemary into your diet. This miraculous herb is beneficial for other health problems as well, but it is ideal for the brain. It not just improves memory, but fights factors that cause severe brain diseases, for example, Alzheimer’s. You will be surprised to learn that you don’t always have to buy it as you can keep a pot of it in your kitchen and use it as much as you want. Cancer is indeed a life-threatening disease, but you can prevent an occurrence of cancerous cells by incorporating these magical herbs in your daily life. Parsley is highly packed with apigenin. Consuming this component can reduce chances of cancerous cells and tumors in your body. Moreover, apigenin also contributes to block new blood vessels formation, which is what leads to tumor growth. Consuming herbs is ideal when it comes to an irregular bowel movement (IBS). It is utterly irritating and should be dealt with adequately and on time. It was found out that peppermint could be a safe source to treat IBS. It relieves the problem by reducing pain-sensing fibers that caused by consuming mustard and chili and triggering an anti-pain mechanism in the colon. 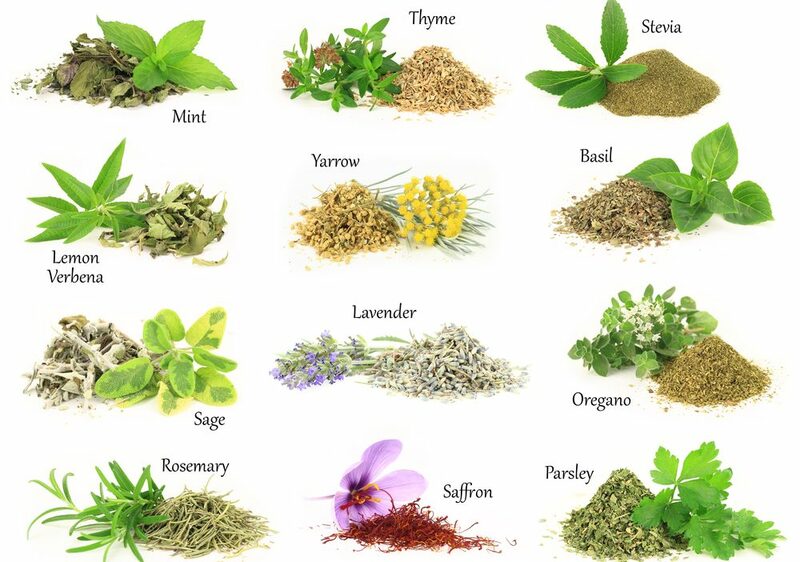 No doubt incorporating herbs in your daily diet is the healthiest way to maintain a healthy lifestyle. These herbs are loaded with anti-inflammatory properties. For instance, an enzyme beta-caryophyllin (E-BCP) found in oregano is the safest way to reduce joints inflammation. It also stops the formation of inflammation-causing substances. It is also known to minimize swelling combating the factors associated with it. Consuming food enriched with antioxidants is essential as it treats various health problems. These antioxidants have potential to absorb oxygen and fight off free radicals that cause severe diseases. You can get plenty of antioxidants by consuming thyme. So next time, don’t forget to sprinkle some fresh thyme on your food. You may have heard experts emphasizing on the importance of a strong immune system. It is because it can kill various germs and bacteria that are responsible for infections – such as the common cold, flu, frequent stomach complications, etc. But you can combat these draining health issues by consuming anise – a sweet and aromatic seed. It is widely used in plant medication to suppress coughs, runny nose, lost appetite, upset stomach, etc. because it has high levels of phenylpropanoids, which are responsible to fight bacteria, making your immune system stronger. If you are struggling with cardiovascular health, start consuming basil leaves. The leaves contain strong anti-inflammatory and antioxidants components that help treat various cardiovascular complications. Basil leaves are also known to help maintain blood pressure levels. A study has also proved that consuming basil essential oil can lower cholesterol, triglyceride, and blood glucose. People with certain food allergies are advised to incorporate oregano into their diet as this mighty herb have plenty of antibacterial and anti-fungal properties. These properties are essential to consume as it fights food-borne infections, diseases and of course allergies. A sore throat, cough and cold are no doubt utterly irritating. You can treat them by consuming mixed herbs-tea. Sipping on warm tea is the safest way to relieve the symptom of a common cold and its aroma also works to calm your nerve. You can try thyme tea as well, which contains thymol. It has potential to protect your body from harmful organisms. Many studies have proved that the continuous consumption of herbs relieves various bodily aches and pains including joints pain. These herbs are also effective in eliminating joint inflammation. Moreover, in Chinese traditional medicines, peppermint, curcumin, and sage are widely used for several pains including menstrual pain. Depression and other psychological problems should never be ignored as they are associated with your cognitive health. Being a soothing herb, sage can treat emotional problems and can fight symptoms of depression. Inhaling its aroma is known to relieve your stress levels, which is again a serious health problem. If you are tired of your dry and damaged hair, you need to stop worrying now. Long and luscious hair isn’t a problem anymore as the solution is found in herbs. You can add herbal teas to your daily routine that contain anti-fungal and antibacterial properties. These properties are known to improve your scalp by preventing it from fungus and dandruff that are the causes behind your deadlocks. Herbs like thyme, oregano, and peppermint are loaded with antibacterial and antiseptic properties that help in acne prevention. These components also reduce acne marks leaving your skin clear and radiant. It is surprising, but consuming herbs improve bone health by reducing joint inflammation. Moreover, the amount of calcium found in parsley and basil is also effective to maintain healthy teeth. Infectious bacteria cause various health problems and it is where these herbs come into action. Thanks to the antibacterial properties in them as they keep these germs and bacteria at bay. The soothing aroma of these herbs relieves nausea as well. The health benefits of these miraculous herbs are surprising. Incorporating them into your diet is a safe way to get these health benefits.